Walking distance to Richmond Row/Victoria Park (5min). Spacious 6 bedroom Character filled house with new windows, front porch, large rear deck and fenced yard for entertaining. 2 bathrooms, Parking for 3 vehicles from rear lane. 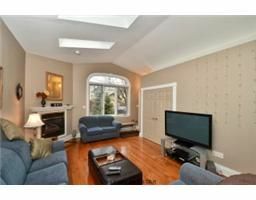 This house has lots of updates, freshly painted, ceramic and new carpets in the bedrooms Gas fireplace in living room with Gleaming hardwood flooring. This one is not to be missed ! Close to all amenities, restaurants.